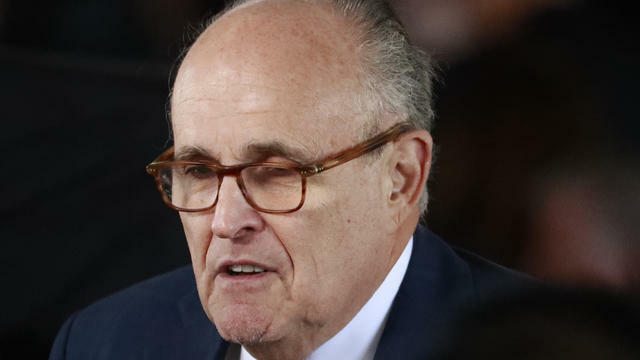 Despite saying that he expected to have a decision on July 4 whether President Trump would sit down for an interview with Special Counsel Robert Mueller's team, Rudy Giuliani said Wednesday he had "no decision" to announce, according to CBS News' Paula Reid. Giuliani, a former mayor of New York City, is one of Mr. Trump's primary lawyers for the Russia probe. Last month, Giuliani appeared on CBS News' "Face the Nation" and was asked by host Margaret Brennan about the July 4 deadline for a decision. "You've said now July 4th is when you expect to have a decision on whether the president will sit for an interview with the special counsel," Brennan asked. "Why are you dragging it out? Don't you know what you want to do now?" Giuliani responded that he did not think Mr. Trump should sit down with Mueller, but was "leaving it open." He also said he was involved in "sensitive negotiations" with Mueller's team, and that there might be a "narrow area" in which the two sides could agree. "I think we've already agreed that it should be just audio recorded," Giuliani said, despite the precedent of former President Bill Clinton's on-camera testimony during the Whitewater investigation. "We would like to see it limited to some specific questions about the heart of the probe – the Russian alleged collusion. We think that those questions could be answered quickly. We think two hours. They probably think four. So let's settle at three. That's the way you do a negotiation in good faith in this area. They have been in good faith."